A city car, by definition is a car you’re going to use in the city, or in a town. It’s designed to be cheap to buy, cheap to run, easy to drive, and easy to park. 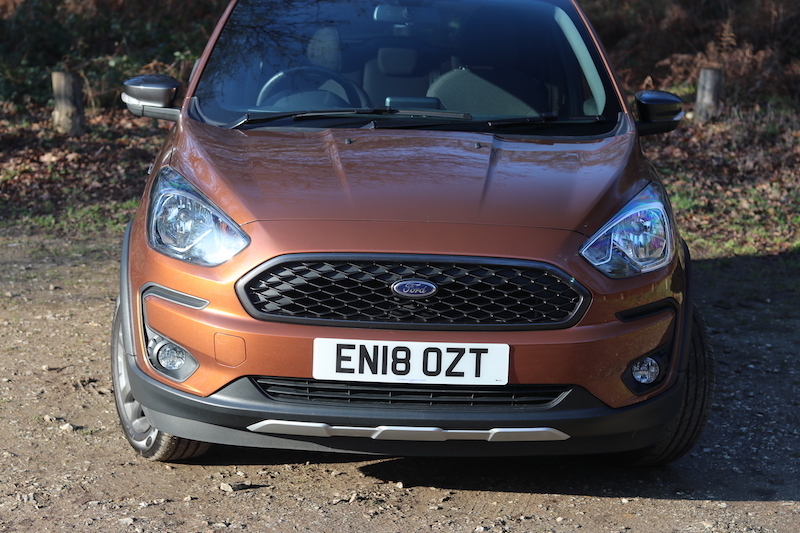 Ford, however, seems to think that what we really need is a city car inspired by the world of SUVs. Say hello to the new Ford KA+ Active – is it a marketing masterstroke, or a manufacturing mistake? I spent a week with it to find out. On first appearance it appears to be business as usual; the Ka+ looks small and compact like a city car should, but look closely and you’ll notice the Active version sits higher up than the standard model and it has plastic cladding for a better protection. This to me, seems like overkill, considering the most extreme conditions this will face will likely be a slightly muddy car park. Mind you, that extra cladding could come in handy if things get really gnarly at the January sales. SUV inspiration aside, I rather like the design, although a fair few of my social media followers think it’s downright minging. 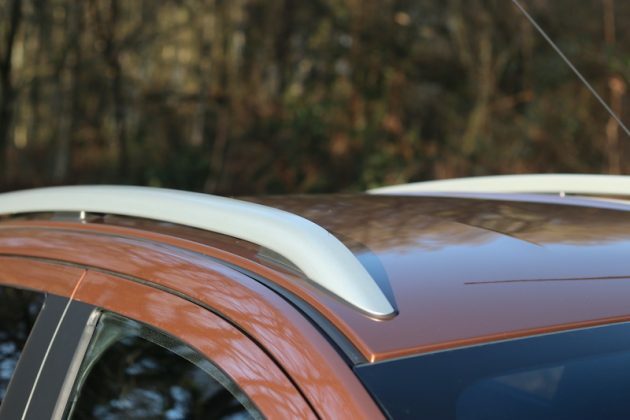 Maybe the colour doesn’t help; this is the optional “Canyon Ridge” paintwork, which didn’t bowl me over once I saw it in the flesh, however, my mind changed once I saw it in the winter sunlight. The Ka+ Active didn't receive a lot of love from my social media followers, but I actually think it looks alright. The Canyon Ridge paintwork looks so much better when the sun is hitting. 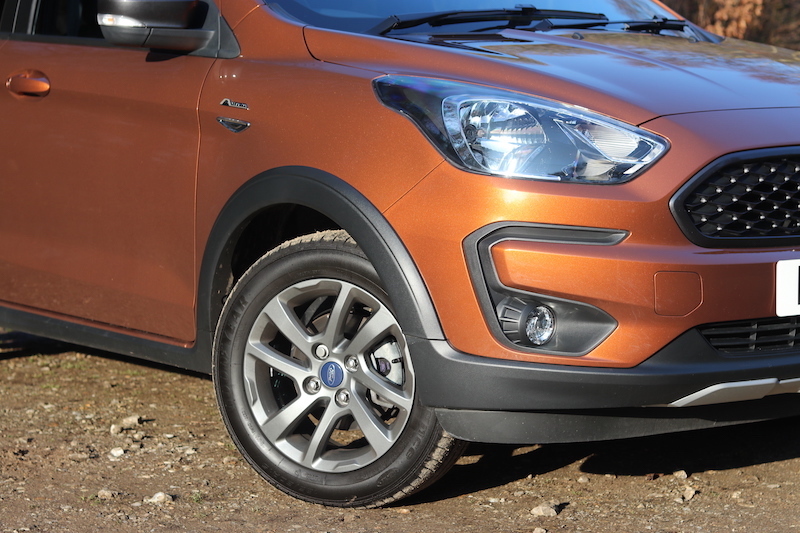 15" alloys come as standard, as does the rugged, SUV inspired cladding. The black grille is a nice contrast on the Canyon Ridge paint. There's a fair amount of hard plastic on the inside, but that is to be expected from a cheap car like this. 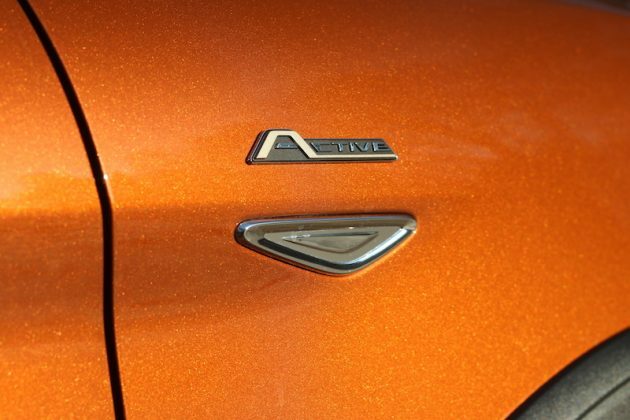 The inside does get an exclusive design for the Active, meaning you get bronze details on the inside. 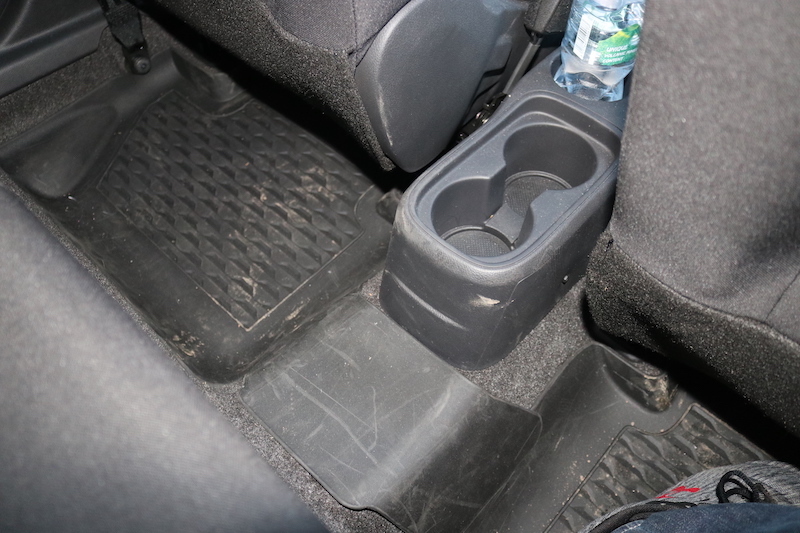 You also get durable rubber floor mats in the front and rear - handy if you're wearing muddy footwear. As standard, you get 15″ alloys, silver roof rails, privacy glass and dark headlight surrounds, which makes the car look like it’s got a bit too much mascara on. On the inside you’ve got what Ford calls “unique Sienna Hazel trim environment”. No, really – I’m not kidding. Marketing mumbo-jumbo aside, it’s a nice place to be, and it has more technology than the previous Ka+. This is because as standard on the Active – and also on the Zetec – there is a 6.5″ touchscreen as standard, which is loaded with Ford’s Sync 3 system. 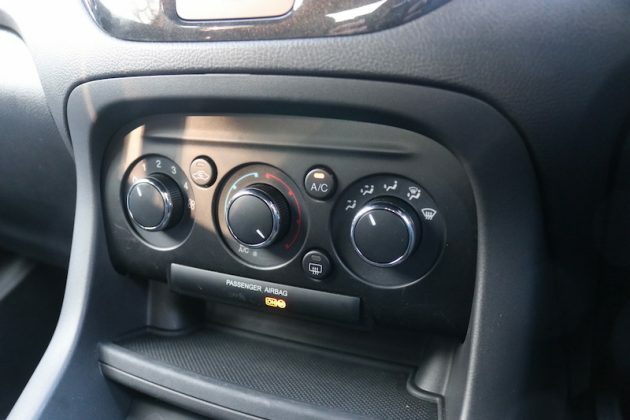 It has DAB radio, Bluetooth and smartphone connectivity. 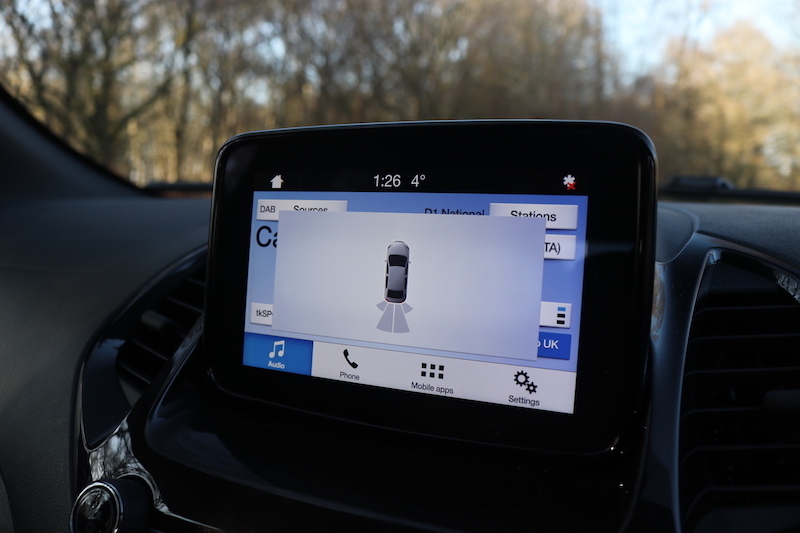 There’s no navigation, but you can simply use your smartphone instead – easy peasy. Speaking of kit, how much does it cost? 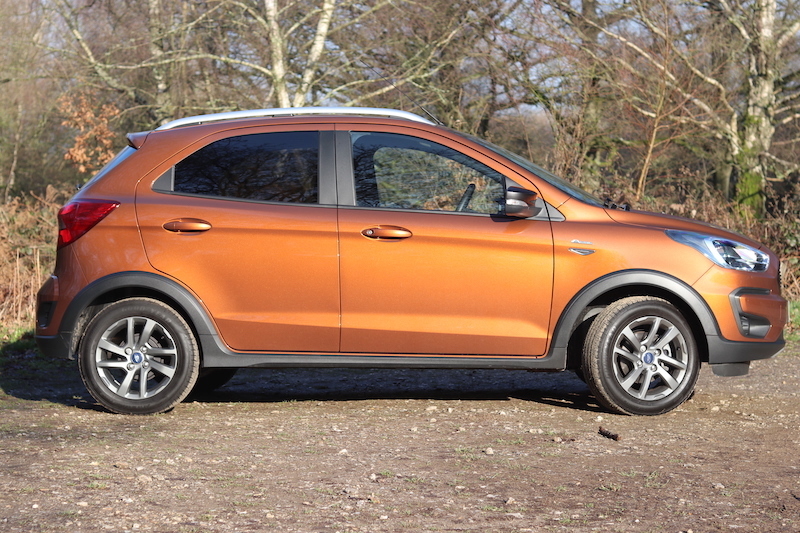 The Ka+ Active starts from £13,445, and it sits at the top of the Ka+ range. As well as the 6.5″ touchscreen, it offers 15″ alloys, privacy glass, Active styling, cruise control, leather steering wheel, speed limiter, hill start assist and front electric windows. Yes, that’s right, you get keep fit windows in the rear. Thankfully, this one has rear electric windows added on thanks to an optional pack. 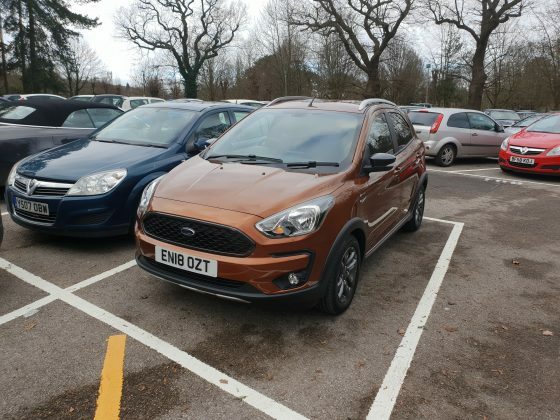 If you don’t quite fancy the Active, then you can either have the base model Studio, which starts from £11,295 or the Zetec, which starts from £12,295. The former offers front electric windows, DAB radio, 15″ steel wheels and speed limiter, whilst the latter adds cruise control, leather steering wheel, 6.5″ infotainment system and 15″ alloy wheels. 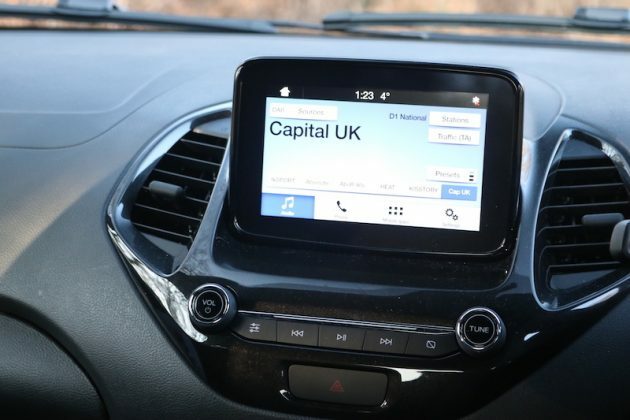 One of the key features of the new Ka+ is the 6.5" touchscreen, which has the Ford Sync 3 system with DAB radio and Bluetooth. 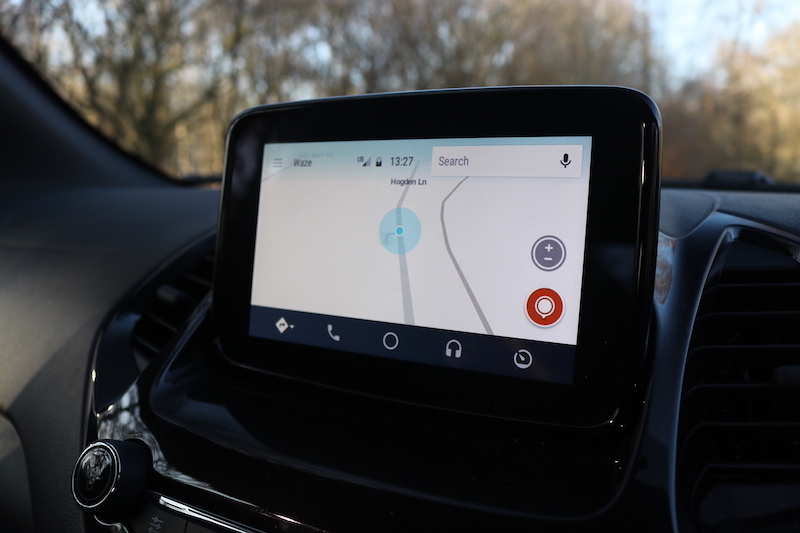 There's no navigation as standard, but thanks to smartphone connectivity you can use Google Maps of Waze. 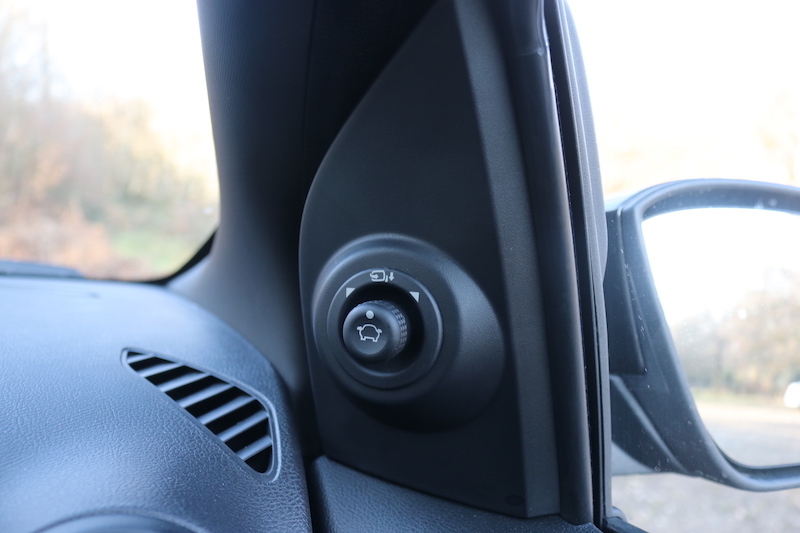 Front electric windows are standard, but you'll need the optional 'City Pack' to get electric windows in the rear. ...as well as power heated foldable wing mirrors. 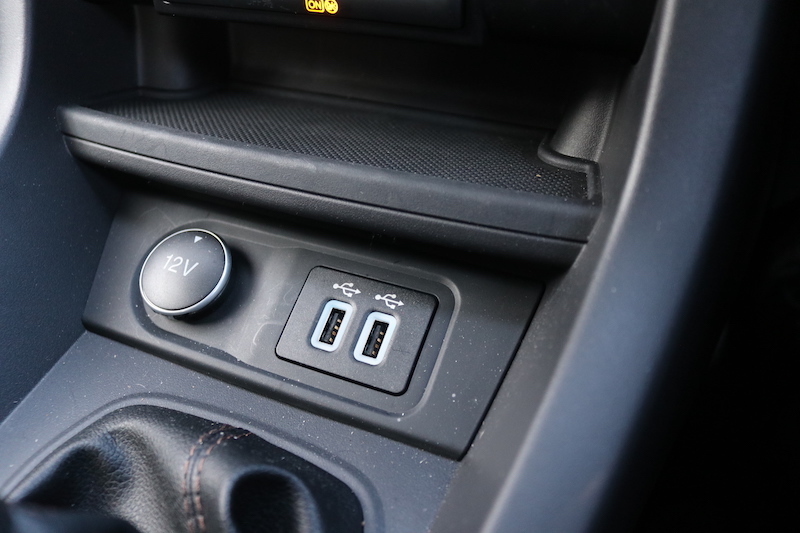 There's two USB ports as well as a 12V socket. One thing I before I get driving, and this may seem very picky, but I find it disappointing automatic headlights are not standard. 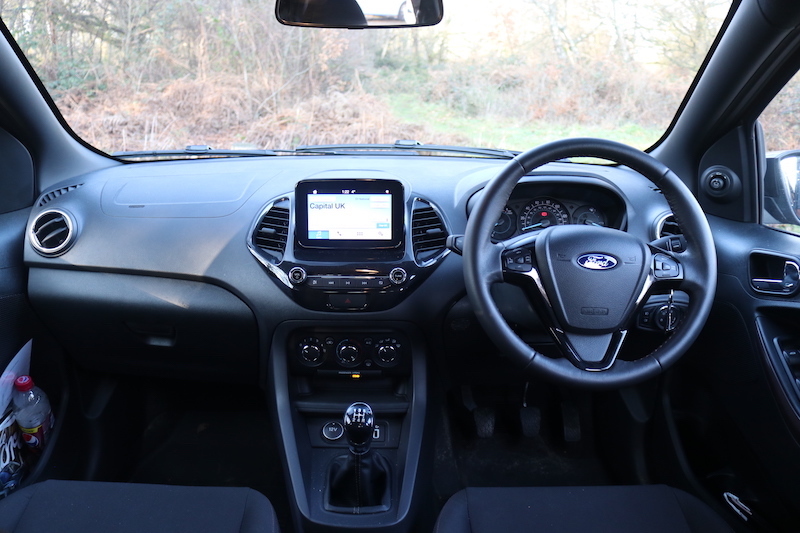 Ford is quite happy to supply a 6.5″ touchscreen as standard, yet automatic lights are an optional extra? I find that a bit baffling. Speaking of options, the car tested here is £14,545 because it has the optional paint as well as the City Pack. This gives me rear parking sensors, rear electric windows and power heated foldable door mirrors. 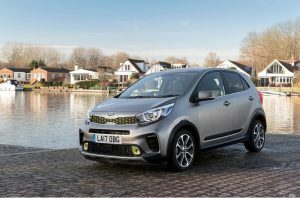 This looks to be decent value, but a Kia Picanto X-Line offers a similar spec at a better price, plus it’s a Kia, so you get a seven year warranty as standard. The Ka+ range has three new engines to choose from; you can either have a 1.5 litre four cylinder turbocharged diesel which offers 95hp, or a 1.2 litre three cylinder naturally aspirated petrol, which is available in two power outputs; 70hp or 85hp. I’ve got the 1.2 litre petrol, which offers 85hp along with 115Nm of torque. This power is fed to the front wheels via a 5-speed manual gearbox, and with a bit of patience, you’ll eventually crack 62mph in 13.5 seconds. The top speed? That is a dizzying 105mph. Ok, I know, it’s not built for speed, however, how does the engine perform in the real world? In all honesty, it’s not too bad. Yes, it needs to be worked hard to get the most out of it, but you shouldn’t find it tedious, not unless you venture on to a motorway. 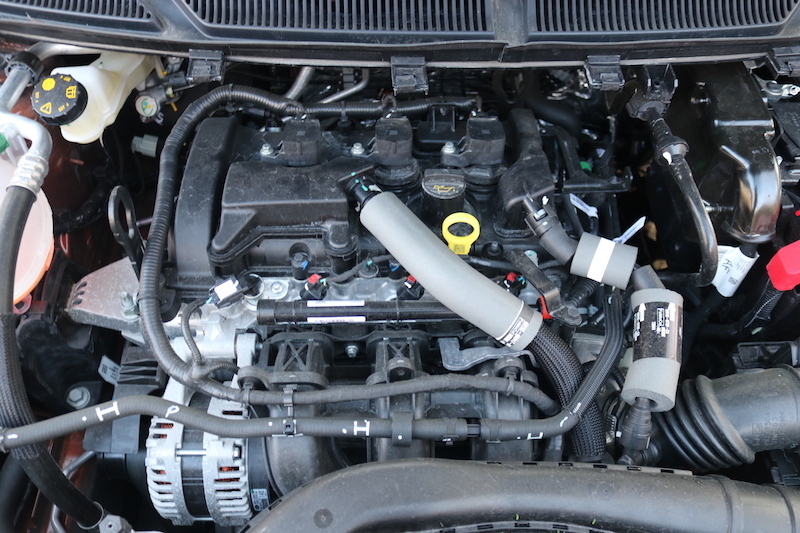 Thanks to twin variable camshaft timing this engine offers 10% more low end torque compared to the old unit, which may not sound like a lot, but it does feel a little bit more eager than the last car. It’s also a little more efficient and refined, which can only be a good thing. 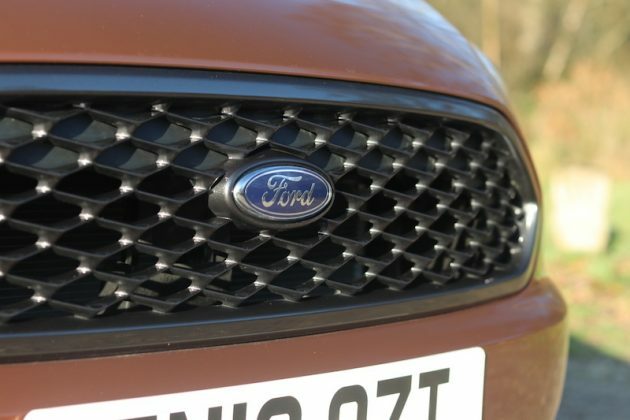 The new model also brings a new 5-speed manual gearbox, which Ford states offers less friction than before, thanks Teflon-coated internal components, but the change still feels notchy and a bit rubbery. 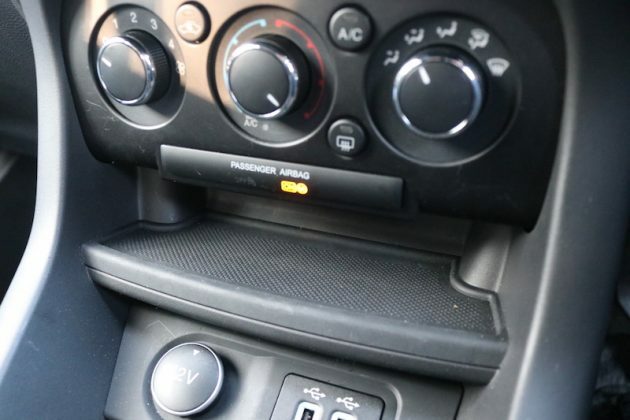 The clutch pedal is light though, and easy to operate, so you should find the Ka+ Active an easy car to get on with. 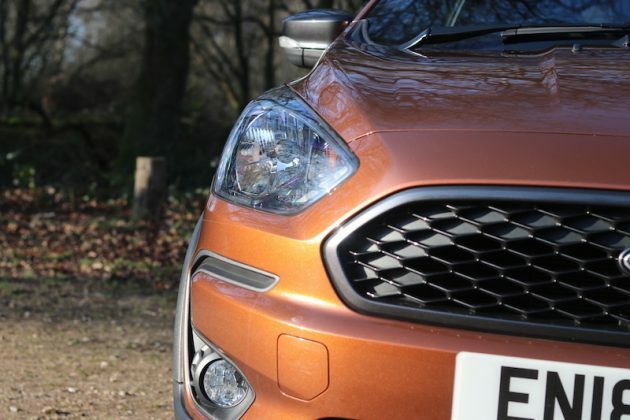 Unlike the Active version of the Fiesta, the Ka+ version does not offer rough road suspension, nor does it have a slippery driving mode, but the chassis has been given a unique setup to give better comfort. The ride is quite easy going as it’s pretty smooth on most surfaces and it protects you from most of the bumps UK roads likes to throw at you. The seats are pretty comfortable as well, although I find the upper half doesn’t provide a lot of support for my shoulders and upper back. 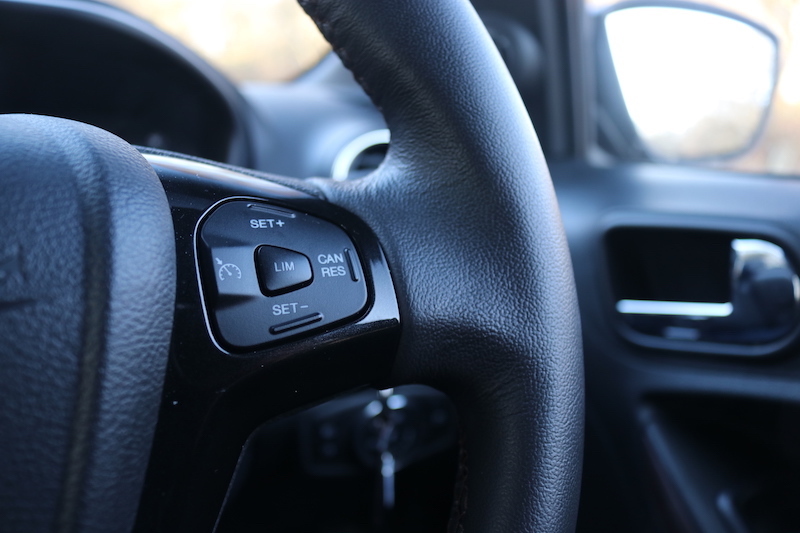 Getting a good driving position may be tricky for some, as the steering only adjusts for rake, which shouldn’t be a surprise given the car’s price tag. 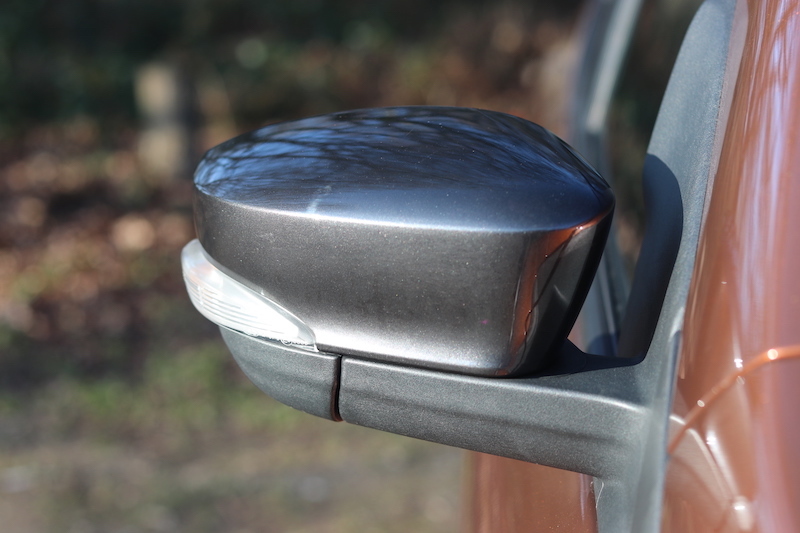 On the whole, though, the Ka+ Active is pretty comfortable, but how does it deal with corners? 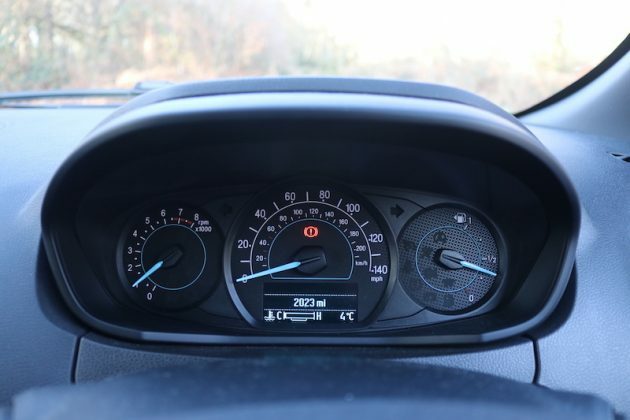 Compared to the standard car, the Ka+ Active is 23mm higher, so it does lean a little more in the bends and the centre of gravity is a bit higher. However, the handling is still competent and it can be pretty good fun. 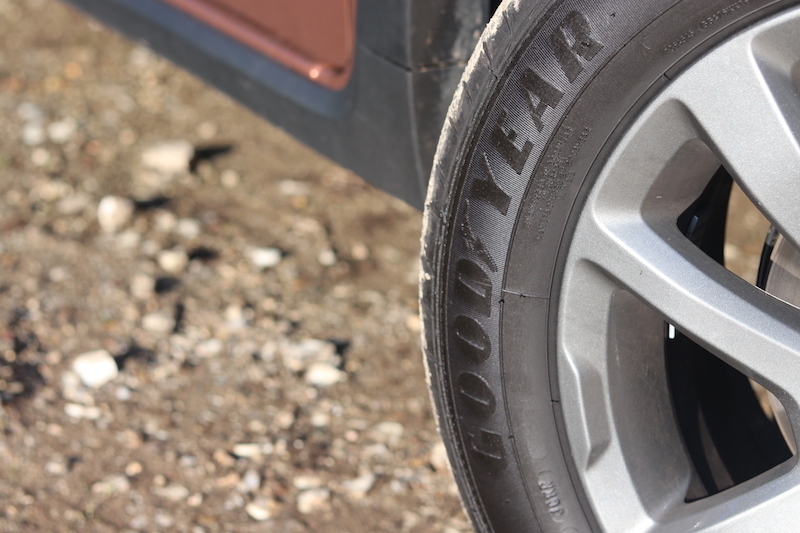 The Goodyear Assurance tyres offer a decent amount of grip in the corners, and the chassis is able to offer fun when you find the right road. There is a good level of grip, the steering has a decent enough weight, and thankfully the feedback it offers isn’t too muted. I also like the fact that the brake pedal has a nice firmness in its operation, which helps to give confidence. The Active also features a thicker anti-roll bar to make up for the lean caused for the extra height and it seems to do a relatively god job. 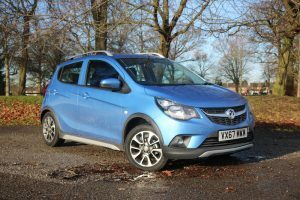 It feels more engaging and enjoyable to drive than the Vauxhall Viva Rocks, and it also feels more grown up. In fact, that’s a pretty good way to describe this car, grown up. The inside is more up-to-date than the previous car and I quite like the way the Active feels like a bigger car than it actually is. There have been times where I genuinely forgotten the small dimensions of this car. Talking of dimensions, how roomy is it, and how big is the boot? 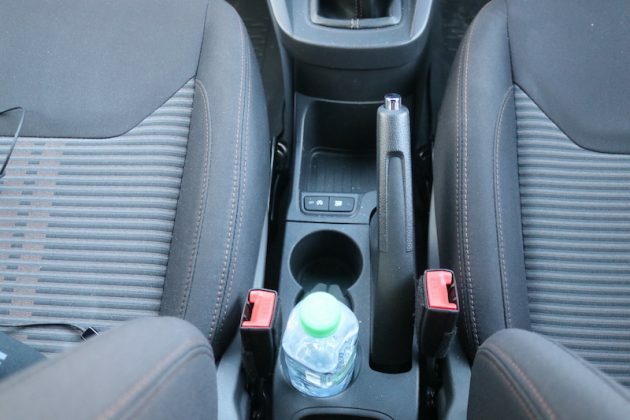 Step inside the front and you’ll find a decent amount of space. Granted, you will sit quite close to your front passenger, but this is a small car after all, so you can’t expect executive saloon amounts of space in here. 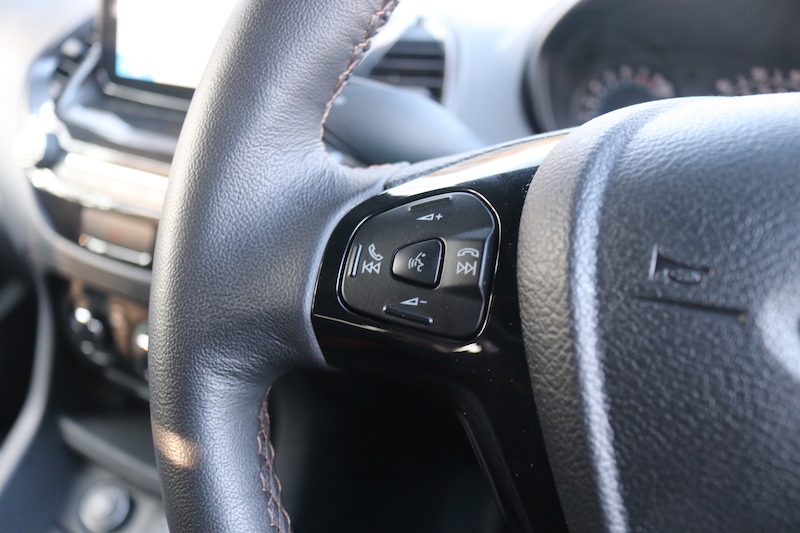 As I mentioned earlier, getting a good driving position may be a bit tricky due to the limited steering wheel adjustment, but the seat should offer you enough adjustment to make up for it. I’m 6’2″ and I was able to get a good set up pretty quickly. 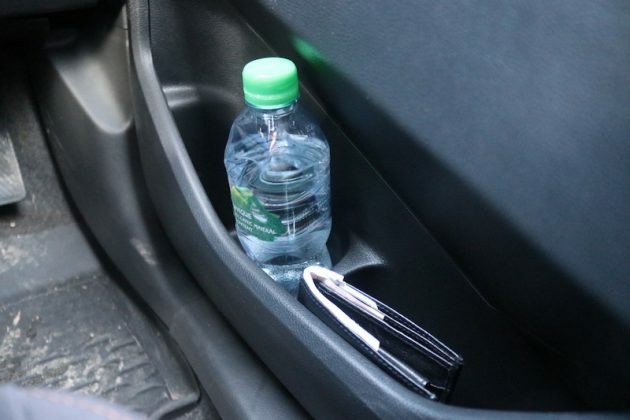 In regard to cubbyholes, the doorbins offer a decent amount of space and allow you to fit a bottle in them, there’s plenty of cupholders in the middle, and there is also a small shelf here which is big enough for most smartphones. 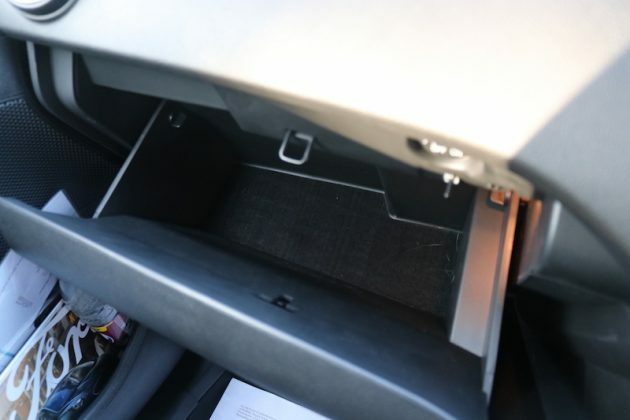 Last but not least you have a glovebox, which isn’t massive, but should be big enough for a few travel snacks. The doorbins were bigger than I was expecting, which can only be a good thing. There's a small shelf, which should be big enough for most smartphones, which is pretty handy. 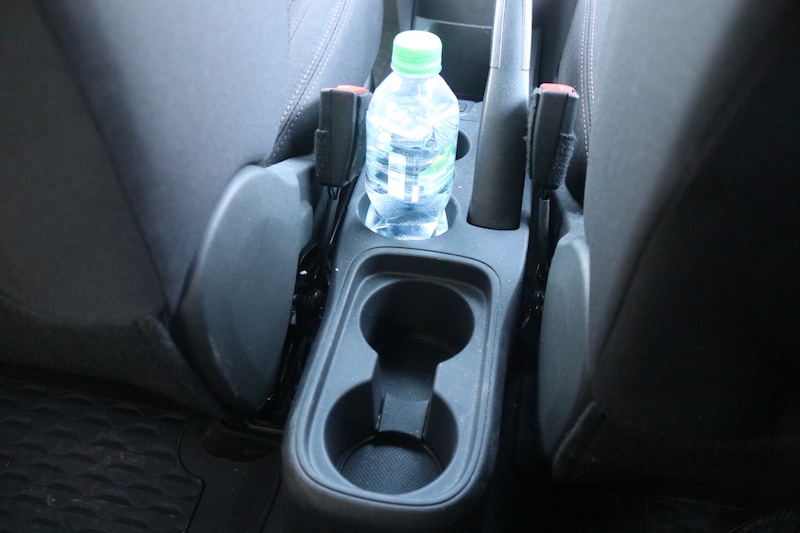 There's no less than four cupholders in the middle. There's also a small slot in front of them. Despite being 6'2" and sat behind a driver's seat set for me, legroom is agreeable and knee room is too bad either. Headroom isn't too bad either, but anyone taller than me is likely to struggle. So far, so good, but what about space in the rear? 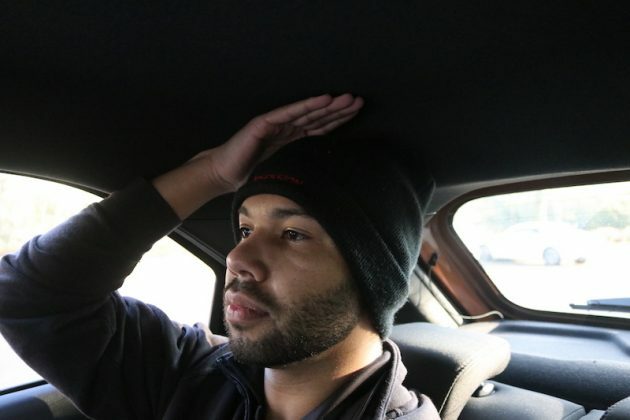 Ford states that someone who is two metres tall (that’s about 6’5″) should be able to sit behind a driver of a similar height, so at 6’2″, I should be just fine, or will I? As always, the driver’s seat has been set for me, and even so, legroom is pretty agreeable. Headroom is on the tight side, though, so I would be surprised if someone taller than me could get in without having to slump forward. Ford also states there is room for three adults back here, but in reality, I think you would want to stick with two, but three children shouldn’t be too much of an issue. One of the annoying things about the previous Ka+ was the fact it had no release button on the tailgate; you had to either use the button on the key fob, or a button on the dashboard. It may have been a first world problem, but it was irritating all the same. 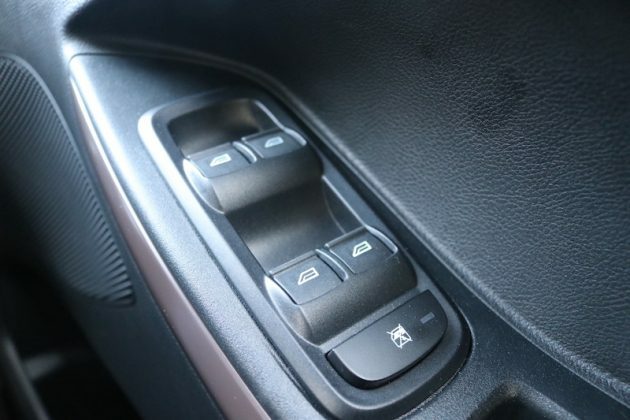 Thankfully Ford has fitted a boot release button for the new model. Open it up, and you’ll find 270 litres, which is more than the Vauxhall Viva Rocks and also more than the Kia Picanto X-Line. 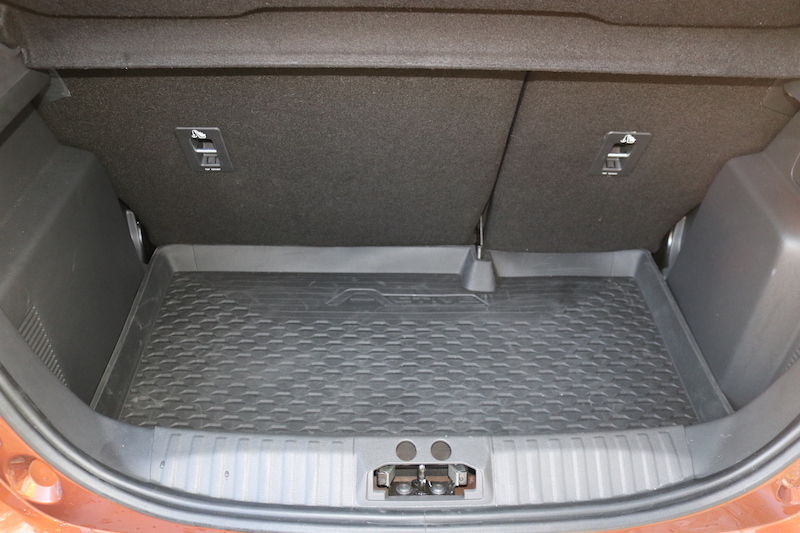 Like the cabin, the boot receives a rubber mat so you don’t have to worry about the boot floor getting muddy. 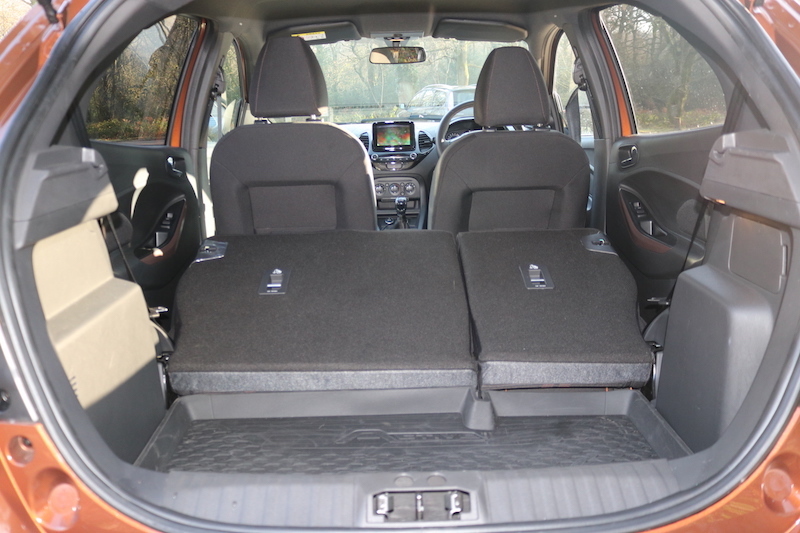 If you need more space, you can fold the rear seats down and you’ll be able to use 1,029 litres. 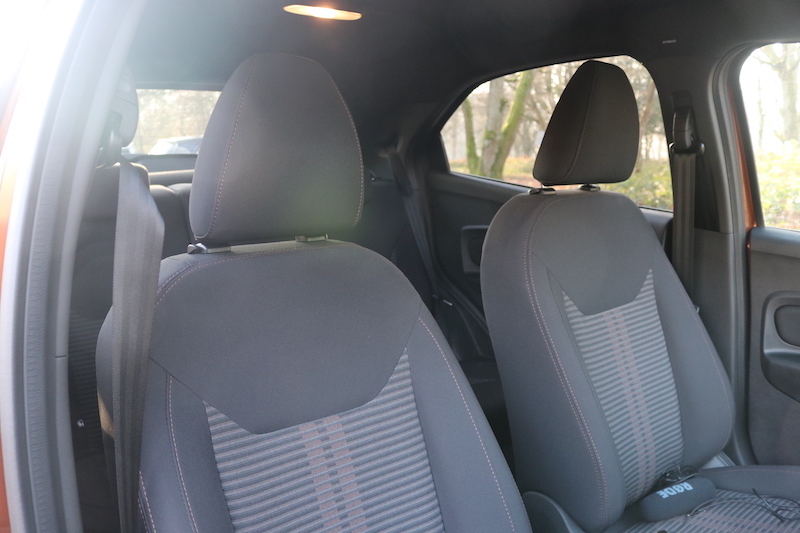 As you can see, there is a large step with the seats folded, but that is common for this car class. 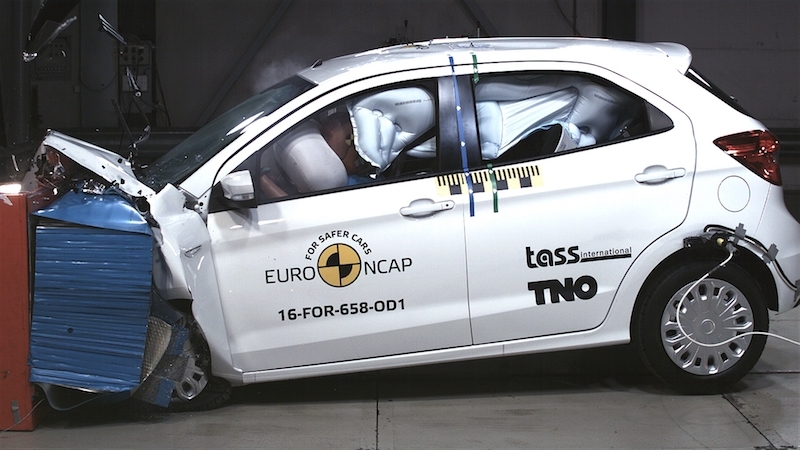 So, practicality isn’t too bad for a small car, but how safe is it? 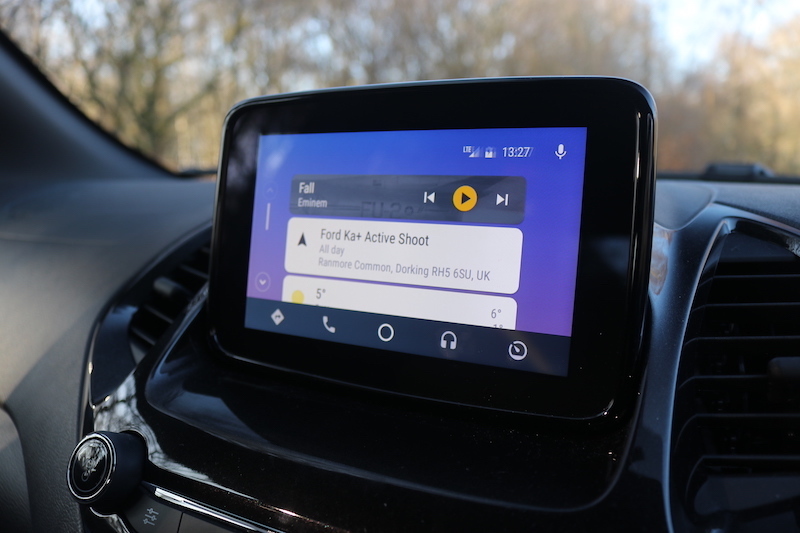 The Ka+ Active isn’t exactly awash with safety tech, therefore it was awarded only three stars. Autonomous Emergency Braking is not standard, nor is it an option, but as standard you’ll receive six airbags, ESP, speed limiter, and that’s about it. Mind you, it’s on par with the Viva Rocks, but the Picanto X-Line and the Ignis offer more kit. So, safety is a so-so area, but how thirsty is it? 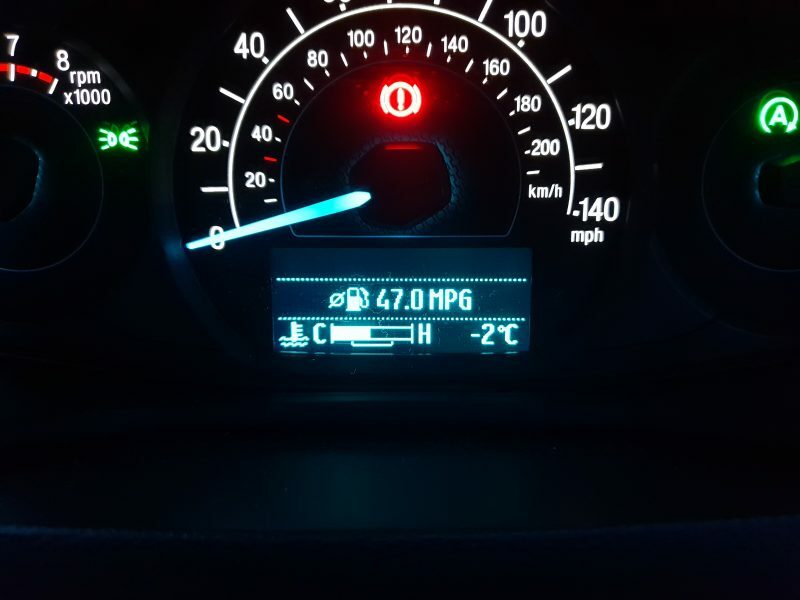 If you go for the 1.2 petrol engine as I have here, you can expect 43.5mpg, and in my experience I’ve been getting around 47mpg, so you shouldn’t have to empty your wallet to often to keep this car going. Mind you, the petrol fitted to this car isn’t quite as frugal as you’ll find in rival cars, so that’s worth bearing in mind, although the 70hp version does do a little better. However, you do of course have the option of the diesel, which offers 56.5mpg on a combined run. In case you’re wondering, those figures were obtained using the new WLTP method. In regard to emissions, the petrol emits 129g/km of CO2, meaning you’ll pay £165 for the first year of VED, whilst the diesel emits 108g/km, meaning you’ll also pay £165 for the first year of VED. 3 year warranty is standard, but this can be extended, and the car sits in insurance group 6 if you go for the petrol and group 10 if you go for the diesel. Before I wrap up, let’s touch upon refinement. As you can imagine from a cheap car, the cabin isn’t the quietest place to be, although you should never get to a point where you having to shout to have a conversation. Wind noise is pretty well controlled, but there is a fair bit of road noise to contend with. The engine is pretty docile when you’re cruising though, and thankfully it’s not too boomy when you rev it. The Ka+ Active on the whole is a decent enough car, but it feels like the solution to a problem that doesn’t exist. I can’t imagine there are too many people out there who are desperate for a city car that looks like an SUV, despite how big the SUV craze has become. 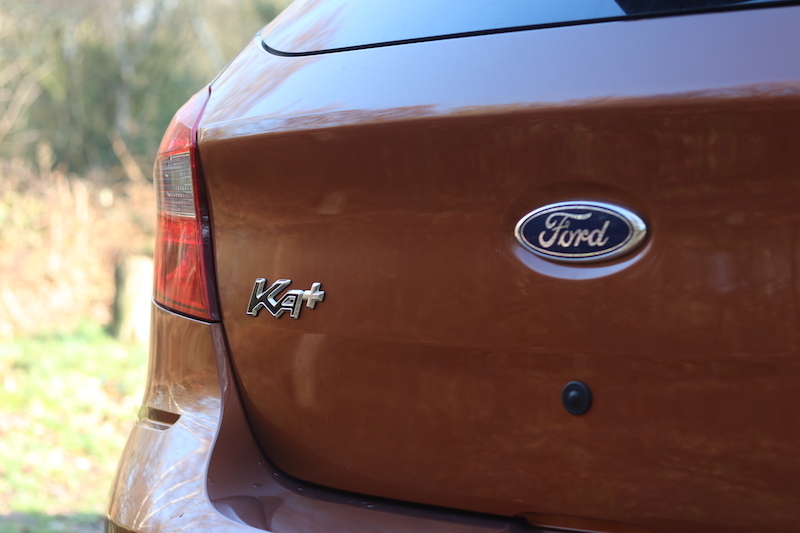 However, let’s ignore the Active trim level for the time being to compare this generation of Ka+ to the previous one. It’s a better car than before, the engine line up is better, it’s got more technology, and it’s got a boot with better access. Therefore, I would recommend the Ka+, but I’d urge you to get the Zetec instead of the Active, because to be frank, this car doesn’t make much sense to me. If you must have a car like this, then it may be worth looking at the Picanto X-Line as I think it’s better looking, it’s also better value and you get a seven year warranty. The Viva Rocks hit the scene before the Ka+ Active, but it’s not as good to drive and it has a smaller boot. It’s also more money than the model below it, despite offering a little less kit. This then, makes it a difficult car to recommend. Mind you, it is cheaper to buy than the Active. Kia has also jumped on the small car crossover bandwagon by offering the Picanto X-Line. 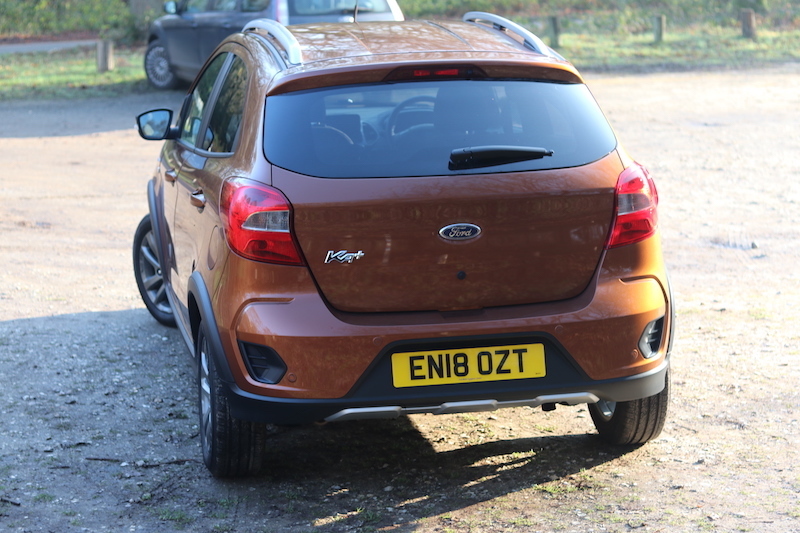 I’d argue it’s the best looking out of the three cars, although it has a slightly smaller boot than the Ford. On the plus side it comes with a 7-year warranty, and it’s better value. 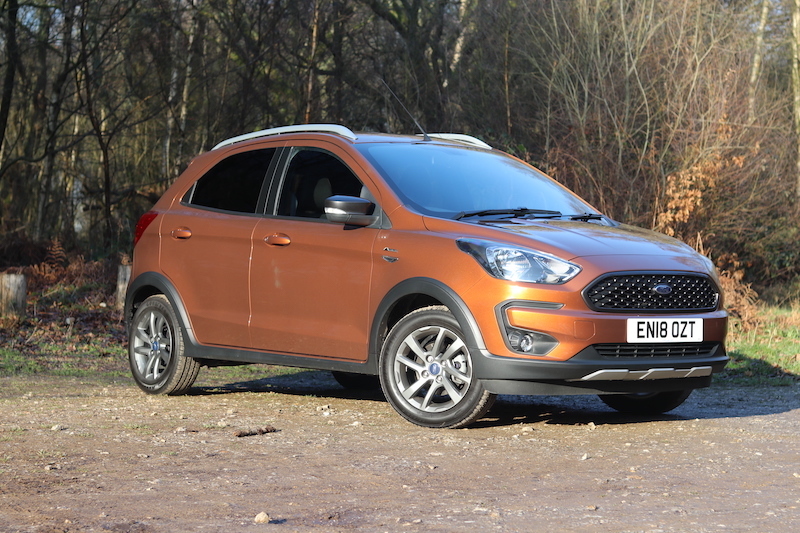 The Ka+ Active, Viva Rocks and Picanto X-Line are modified setups of a standard car, so why not buy a car that was designed to be a small SUV from the start? 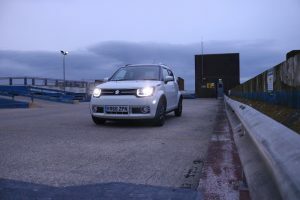 The Ignis is a car that has pretty much made its own box in the market as it’s both city car and SUV at the same time. It offers a great amount of value, it’s a funky looking thing, and it actually has four wheel drive.